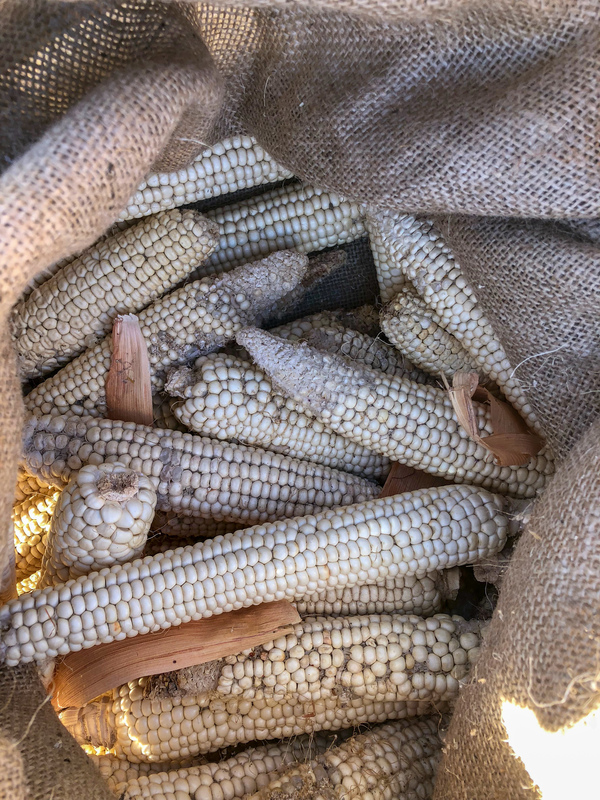 The first Southwest Intertribal Food Summit was held October 26-27 in Taos and Taos Pueblo by the Native American Food Sovereignty Alliance, Taos Pueblo, the Taos County Economic Development Corporation, Red Willow Farm, and the Traditional Native American Farmers Association. The two-day event took place at three host locations, Friday October 26th at TCEDC and Red Willow Farm and Saturday October 27th at Taos Pueblo. 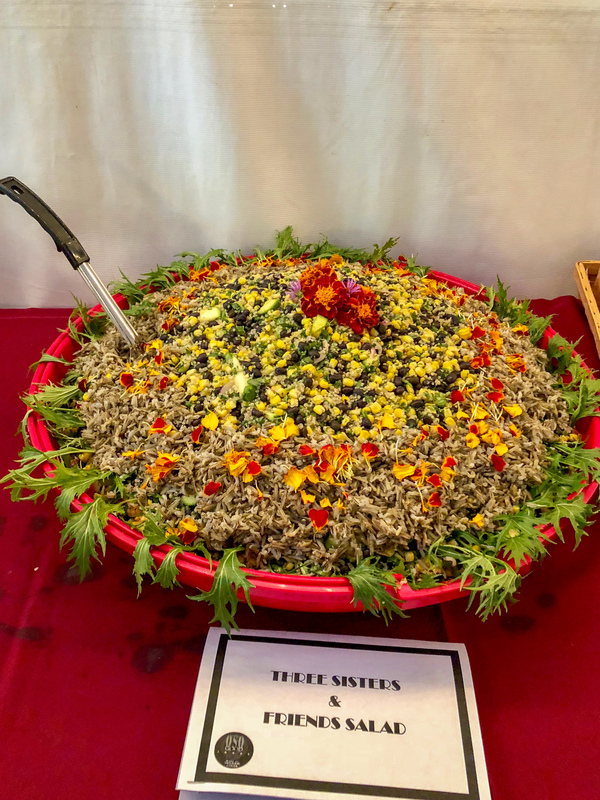 Approximately 150 participants, presenters, tribal officials, vendors, and visitors came together to learn and share knowledge of indigenous foods and traditional food processing, seed saving, indigenous plants, and lifestyles of Southwest tribes. The Southwest Summit began with a morning run from Kit Carson Park to the Taos County Economic Development Corp. (TCEDC) led by San Felipe Pueblo runner Christian Gering, with the help of his partner Andrea Stanley. They had hot Cota tea and “Pueblo Power Balls,” a mixture of currants, pumpkin seeds, and popped amaranth, waiting for those who joined. Christian also coordinated the Saturday morning run at Taos Pueblo, that ended and began at Red Willow Farm. Opening remarks by Clayton Brascoupe, NAFSA President and Pati Martinson, Co-director of TCEDC, were followed by workshops and presentations that included a Fiber Arts Demo by Roy Kady and his apprentices, Cacao Processing by Julio and Heliodora Saqui, the Pueblo Food Experience by Roxanne Swentzell and Marian Naranjo, Seed Saving with Steve McComber, Foraging with Henrietta Gomez, Pueblo Grid Gardens with Louie Hena, Indigenous food demonstrations, and panels on dry land farming and youth programs. 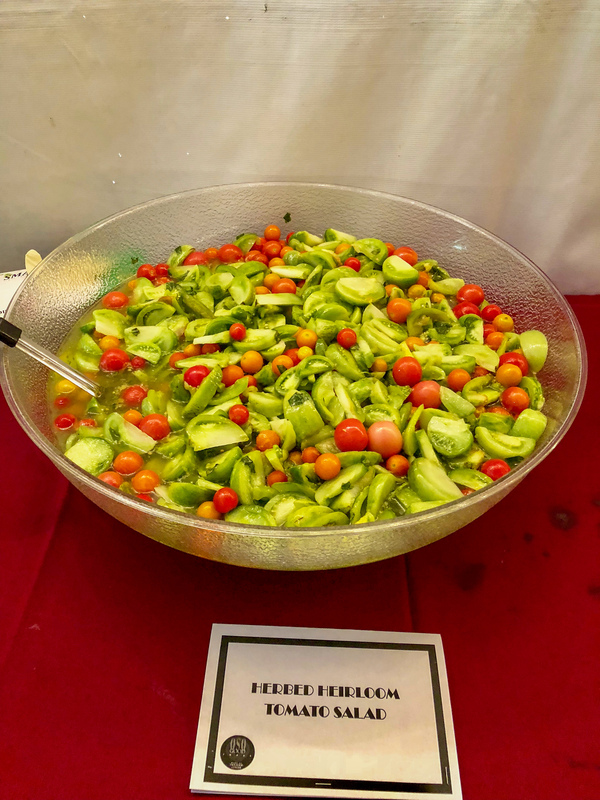 The Summit then moved to Red Willow Farm where participants were able to taste foods made by Taos Pueblo community members with indigenous ingredients. Changing Woman Initiative, an organization aimed at renewing cultural birth knowledge based in Santa Fe, was also present, providing participants further information on their efforts. The second day of the summit was held at the Historic Taos Pueblo. Governor Gilbert Suazo Sr., the Taos Pueblo Color Guard, and other community members led participants on a traditional parade around the village. Governor spoke to participants about Indigenous food in the Taos Pueblo Valley and the importance of Indigenous resilience. Participants then broke out into workshops about Seed Saving and Seed Sovereignty with Steve McComber and Rowen White, the Blue Lake Struggle with Governor Suazo, making soap from buffalo fat with Lorraine Gray, tours of Taos Pueblo from the Taos Pueblo tour guides, and several Pueblo home owners opened their home to talk about their art and Pueblo lifestyles. 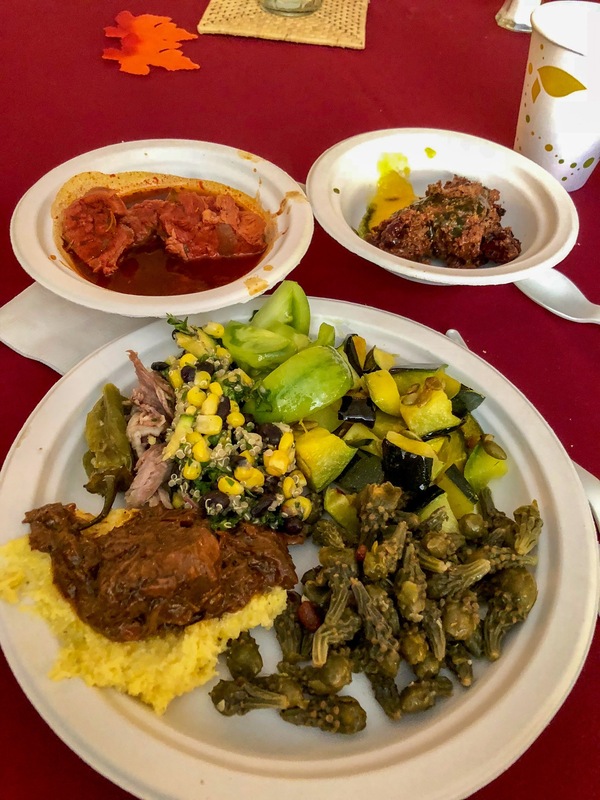 The women of Taos Pueblo, led by community member Valerie Suazo, prepared a traditional feast day meal for lunch of red chile and green chile stew, red chile bone stew, beans and chicos, potato salad, Pueblo pies and cookies, and a variety of desserts. The meal was accompanied by Buffalo and Eagle dances by the Tewa Dancers from the North and a display of indigenous clothing by participants. Joe Garcia of Ohkay Owingeh Pueblo spoke about Pope and the Pueblo Revolt. 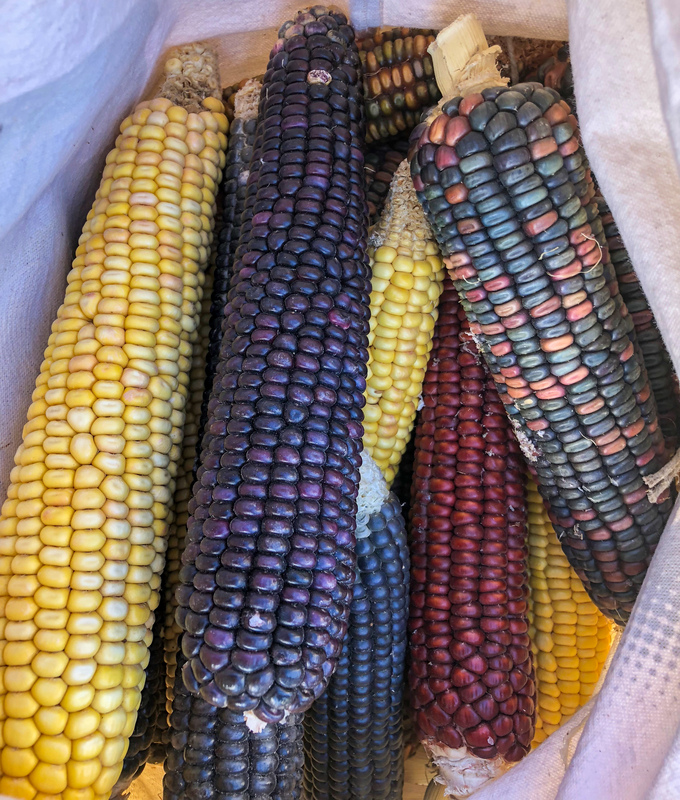 A rematriation of a Taos Pueblo squash took place between Rowen White of the Indigenous Seedkeepers Network and Henrietta Gomez and Governor Gilbert Suazo. Julio and Heliodora Saqui also presented to Governor Suazo some Mayan Chocolate, reestablishing the ancient trade routes that existed long before the European invasion. It was a grand and emotional afternoon. NASFA, TCEDC, Red Willow Farm, TNAFA, and Taos Pueblo would like to give all who participated, attendees, presenters, community members, tribal officials, volunteers and visitors a heartfelt thank you. Without all of you none of this would have been possible. We encourage all to support one another and continue to strengthen the friendships we all made during the summit.